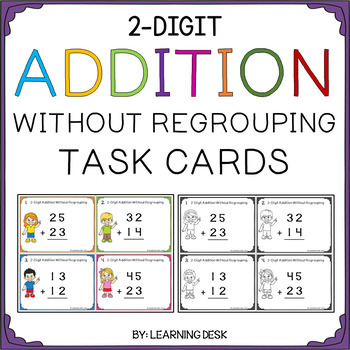 This set of task cards includes 24 task cards for your kids to practice 2-digit addition without regrouping (vertical format). Both colored and B&W options are included. 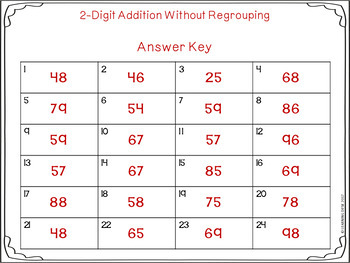 Task cards allows your students to work independently, in small groups, or in a whole class activity. 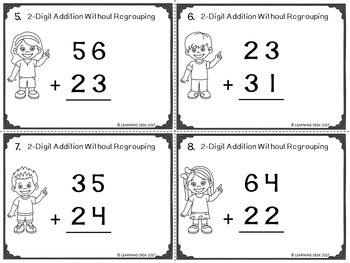 **Also includes the answer key and a recording sheet. 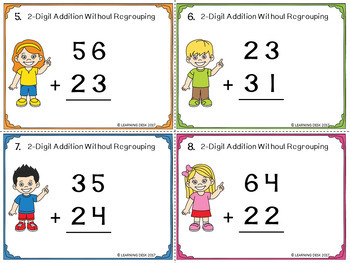 Click here to check more 2 digit addition and subtraction resources.